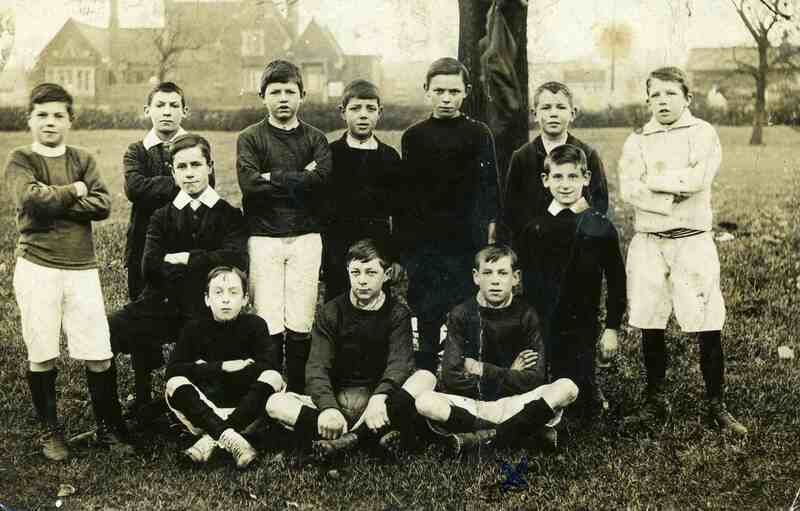 This early photograph of a boy’s football team in Bottesford is recorded as being taken around 1906. This is the generation of boys who grew up to serve in the First World War. The brothers, Bob Sutton (standing 4th from the left on the back row) and Bill Sutton (sitting on the right hand end of the front row) saw active service and returned to live and work in Bottesford. Can you recognise anyone else in the photograph? The team is pictured on Beckingthorpe Farm Field with Bottesford Station in the background. The photograph also shows how extensive the station buildings were pre the Beeching ‘reforms’ in the 1960s. This page was added on 28/10/2007.